While critical to water use and supply in Washington state, water rights typically keep a low profile in the public eye. That's all changed over the last couple of weeks as the Hirst decision has made the headlines as a key political sticking point that has, for now, stopped the state's $4 billion capital construction budget from being approved. With the spotlight on this landmark water use decision, Aspect's Dan Haller was interviewed by the Yakima Herald to help understand it. The article also hears from builders and counties grappling with what Hirst means for them. 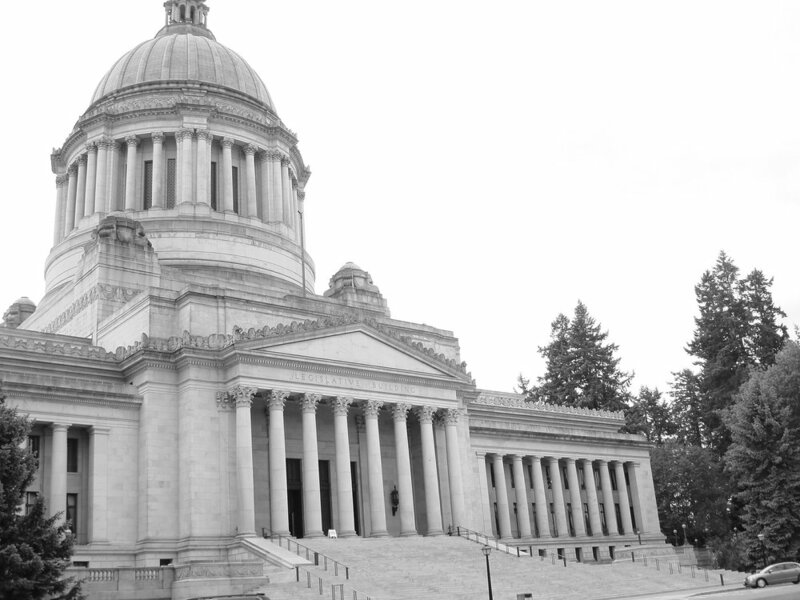 Read it here: Reporter's Notebook: Wondering about the Hirst decision, the state Supreme Court water use case that became a key political tactic in Olympia? Read this primer. In a decision that has wide-ranging consequences for water right projects throughout the state, the Washington Supreme Court (Court) cancelled the city of Yelm’s (Yelm) water right permit. In reversing the Washington State Department of Ecology’s (Ecology) approval of the Yelm’s permit, the Court ruled that Ecology had erroneously used the Overriding Consideration of the Public Interest (OCPI) determination and violated existing instream flows. Ecology had conditioned approval on an “out-of-kind” mitigation package—featuring retiring existing water rights, habitat protection, and stream restoration—to offset the water use from the permit. The Court’s decision was not unanimous, with three of the nine justices believing that the law supported affirmation of Ecology’s decision. The dissenting opinion did not find that there was support for a “temporary” criteria for OCPI determinations. The dissenting opinion also saw significant differences between the facts in the Foster vs. Ecology decision (Yelm) and the precedent-setting 2013 Swinomish Indian Tribal Community vs. Ecology decision (Swinomish) — where the Yelm decision focused on permit-based OCPI and net environmental benefit, the Swinomish decision focused on rule-based OCPI and net environmental harm. Lastly, the dissenting opinion held that this ruling effectively changed the OCPI standard from a high bar to an unattainable standard. Ecology uses OCPI as a tool to approve water right permits when water availability is limited, but it believes the public benefits of approval outweigh any impacts on stream flows. The key to the Court’s analysis was a finding that the term “withdrawal” in the OCPI statute implied a temporary use of water, while an “appropriation” implied a permanent use of water. The Court held that the OCPI exception allowed only temporary impairment of instream flows and that municipal water needs do not rise to the level of extraordinary circumstances required to apply the OCPI exception, no matter how much mitigation is added to the project. The Yelm decision implies a fundamental re-thinking on how water-short basins can access water. The implication of this ruling, coupled with the Court’s earlier ruling in the Swinomish case, is that no permanent water right will be able to rely on anything other than water-for-water mitigation, in-time and in-place, and no amount of mitigation can offset even de minimis (one molecule) impacts to adopted instream flows. By taking out-of-kind mitigation off the table, even if it addresses the limiting factors to salmon recovery in a particular basin, likely means a return to a focus on small storage, “pump-and-dumps”, and other water re-timing strategies as the only means of gaining project approval. Aspect’s Dan Haller spoke at the Water Law in Washington conference on August 27 in Seattle, WA. In a session on New Tools in Water Resource Management, Dan discussed how the Washington State Department of Ecology uses the Washington Irrigation Guide to determine water duty and extent and validity of irrigation water rights.